There’s No Place Like Home references the suburban development of Te Atatū Peninsula in the 1950s and ‘60s. Laid out to replicate a traditional garden path leading from gate to front door, the installation explores ideas around property and propriety, popular culture, and suburban neurosis. While New Zealanders have historically taken to the idea of a “quarter-acre pavlova paradise”, there are often secrets behind closed doors and much like in ‘The Wizard of Oz’ (Metro-Goldwyn-Mayer’s classic 1939 movie – the inspiration for the title of this work), not everything is as it seems. 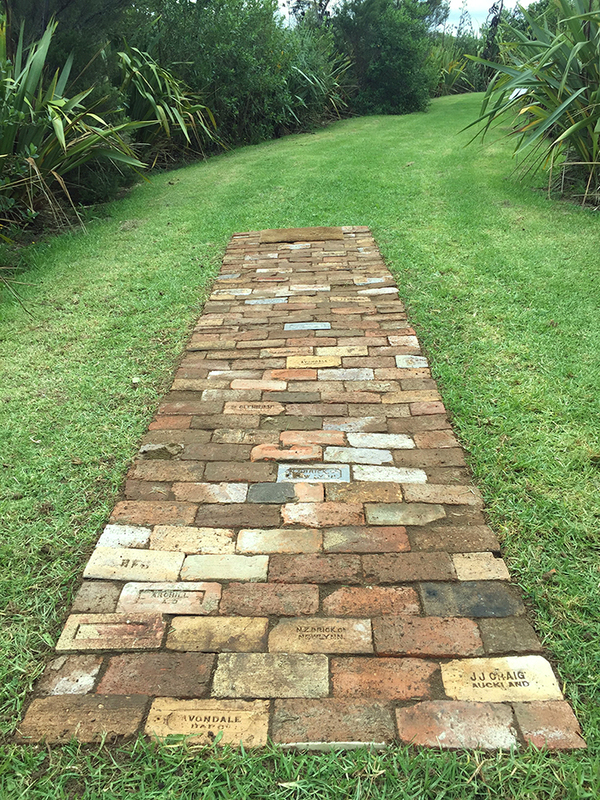 The materials used intentionally acknowledge some of the historic brickwork sites that were based around Te Atatū (e.g. the Auckland Brick & Tile Company c.1880s, Hartshorne Brickworks c.1895–1917, and Henderson Brick and Tile Syndicate c.1903–1912). 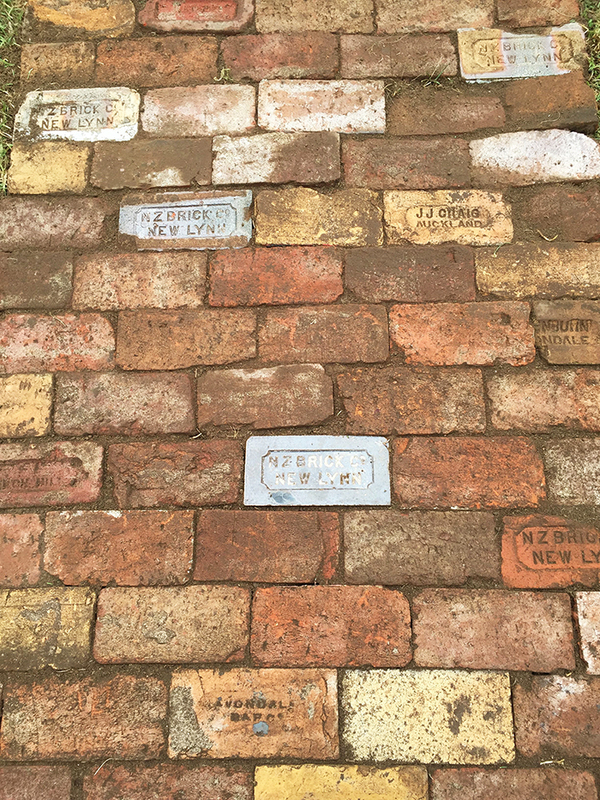 The Avondale Brick & Pottery Co. stamped bricks (circa 1890) were pulled from Sir Edmund Hillary’s grandmother’s house in Remuera prior to demolition. The fact that the path leads nowhere mourns the loss of peoples, dwellings, and days gone by. It also draws attention to the ever-increasing demise of local green space as Auckland’s population continues to rise, and long-held values about home ownership and expectations shift. Installation was a mammoth task, involving cutting a hole and removing all turf (to be lovingly nurtured at home and replaced at a later date), and then individually laying the bricks in a pattern that showed a wide range of colour, styles, and historic references. Huge thanks to my art-slave, Ronnie, and volunteer assistants Vivian and Eddie.